d&t is a multi-award winning team of business advisors and chartered accountants, working together to help over 2,500 clients across the UK reach their goals. 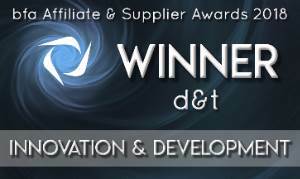 d&t is a multi-award winning team of business advisors and chartered accountants, working together to help over 2,500 clients across the UK reach their goals. Franchising is our thing – we’ve been specialist franchise accountants for over 25 years, and support over 100 networks nationwide with their finances. We do far more than just complete your accounts and tax returns though, because ensuring compliance is just part of the service we offer. Our specialist professional teams have the knowledge, experience and skills to ensure that your business is actively enabled to maximise its potential. Not only do we have highly experienced accountancy staff, but using our professional links and market knowledge, our expert team are able to help both new franchisees and existing businesses apply for the funding they need through our Franchise Funding service. We also boast an “A Team” of Business Advisors. These are established industry experts in their own right, who have all held C-level positions in big-name brand businesses and have really “been there and done it”, not just learnt the theory. Our specialist teams work together with a shared, no-waffle goal: to help you succeed. We take time to truly work with you and understand the factors helping and hindering your business. Whatever your size or sector, the details are taken care of and solutions are actively sought out. Talk to us today to find out how we can save you time, and help your business succeed. d&t have been part of my business for over 6 years. Yes, they are my accountants but I feel they are part of my business because they are so in tune with my business needs. Their staff are always on hand if I ever have a query about anything and respond quickly and effectively. Who could ask for anything more! 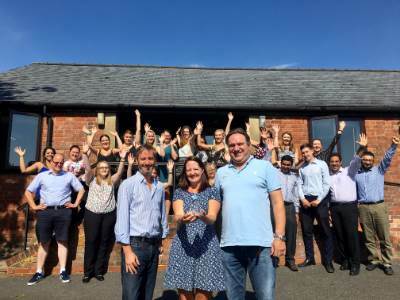 It’s great to see that d&t are broadening their services to provide even greater support to the franchise community and Lloyds Banking Group is delighted to work with the highly professional d&t team to support their clients with their banking and finance objectives. d&t have given us so much support, especially with getting us set up and running on Quickbooks software. They provided us with lots of useful training sessions, webinars and easy-to-follow quick help sheets and videos. It’s great to know we can always pick up the phone and speak to an actual person for help! d&t are always on the ball, knowledgeable and approachable. It’s great to know that someone out there truly understands my business and I can just pick up the phone and speak to them. The team are friendly and full of advice with amazing customer service, and I really can’t fault them. d&t have been the accountants for my business for almost ten years. During that time, they have helped to grow my business, understood my business and worked with me to save money. I feel d&t offer me a service that I would not find anywhere else.